Market research is an essential step in creating a book marketing plan. But it doesn't have to be as scary, dull, or time-consuming as you might think. You can't afford to ignore it. So why not keep it simple? 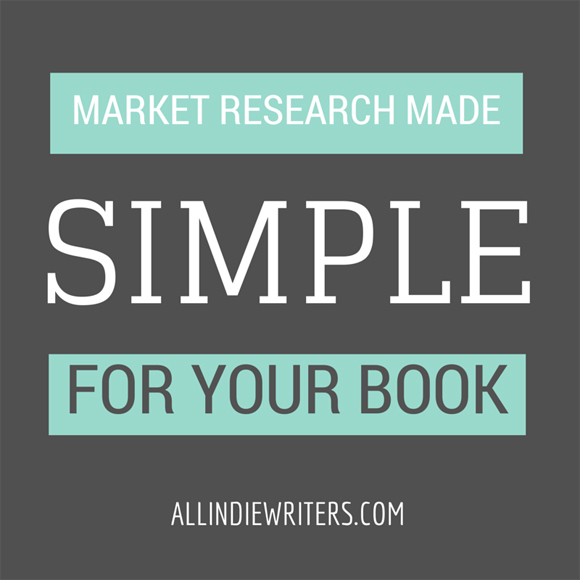 In this post, my goal is to help you do just that -- simplify market research for your book marketing plan by helping you focus on three key areas. Let's explore some of the questions your market research should answer and some of the ways you can conduct simple market research on your own. 1. Does a market exist for your book idea? You might assume that it's a good thing that no books similar to your idea have been published before. That might be the case. But the opposite is often true. If no one was willing to publish a book like yours, why not? Maybe they determined there wasn't a large enough market looking for that kind of book. Maybe there were too many legal risks in publishing a certain type of book. Or maybe the topic is simply so new that no one else has gotten around to it yet (in which case, go for it!). You can get a good feel for whether or not a market exists by simply searching book stores online. For example, visit Amazon and search for books like yours. Let's say you want to write a book about hiking. Search for books about that keyword, and you'll see over 23,000 results come up. Those books vary from personal memoirs to hiking guides for specific regions. Obviously there's a market for books about hiking. That's a good start. 2. If so, how saturated is that market? Once you've determined that a market exists for your book idea, it's important to understand market saturation. This is when a market exists, but the buyers in that market already have the products or information they want. In other words, they've already bought books like yours and they don't necessarily have a need to buy others (or there are simply so many competing books that yours will probably be lost in the crowd). With 23,000 books available about hiking, it might seem like that market is pretty saturated already. So rather than try to compete with general books in the niche, you might narrow your focus. For example, your book idea might be more specifically about hiking the Appalachian Trail. Now search for that topic. You'll find 1436 results. It still sounds like a lot of direct competition, but you could probably work with that. Or you could narrow things down more. For example, if your book is a collection of essays about your own excursions on the Appalachian Trail, you'll find that there are only 56 similar titles in that particular sub-category. So you know a market exists, albeit a narrower one, and there are a reasonable number of titles to compete with ("reasonable" being something you have to determine based on how unique your book idea is within the niche, your pricing strategy, your marketing budget, and other factors). 3. How are similar books priced? Speaking of your pricing strategy, that's something else your market research will help you determine. The worst thing you can do is price your book on whim. "Well, so-and-so said 99 cents is the best price," is a stupid reason to price your e-book, for example, at 99 cents. Maybe their e-book is only worth 99 cents. Maybe it's much shorter than yours. Maybe it's in a completely different niche. Maybe they have several other books out and they can afford to price one that low as a loss leader. Maybe they jumped on ultra-low pricing before the masses over-saturated the technique. Maybe they care more about sales numbers and you care more about getting your book into the hands of actual readers (as in you don't want to price that low only to reach hoarders who buy cheap books without reading them). It would be equally ridiculous to price your e-book at $2.99 simply because a higher royalty rate kicks in, or to price at $7.99 because it's the most you decided you're personally willing to spend on a new book right now. Can you consider those kinds of things in your pricing strategy? Sure. But they shouldn't be the extent of it. The right way to price any product -- and never lose sight of the fact that your book is a product you're trying to sell -- is to understand your target market, their pricing expectations, their buying motivations, how competitors are pricing similar books, and how well those books are selling at their current price points. You can't necessarily get sales statistics for individual titles. But check bestseller lists and online bookstore rankings. Which similar books are selling the most right now? What's the most common price point in the top 10 bestsellers? The top 20? The top 50? A snapshot of what price points work is helpful. But ideally, go beyond that. Track trends over several weeks or even months and see what the data tells you. Not sure how to answer these questions? Here are some examples of primary and secondary market research tools and techniques that help. These are all things you can do, or use, on your own without needing help from a marketing professional. You don't need to use all of them for every book marketing plan you put together. Use what makes the most sense given the type of book you plan to publish. Surveys -- Ask existing blog readers to weigh in. Focus groups -- Talk to highly-targeted groups of people, such as those you would consider using as beta readers. 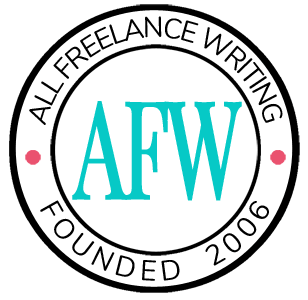 Competitor analyses -- Observe what works and what doesn't work for authors in your niche or genre (and not just the big names). Secondary published research -- This is when you look at data collected and interpreted by someone else -- like reviewing Amazon sales data shared by other authors, or using industry-wide statistics released by booksellers, publishers, or other parties. Just remember to take this data with a grain of salt. Third parties have their own motives for releasing data (and they'll often release what makes them look good while not focusing on data that doesn't support their narrative). You also don't always know how that data was collected or how data collection might have been skewed to get the third party the kinds of numbers they were looking for. Product testing -- Test the market with a similar shorter work before writing a novel or with a short downloadable guide before writing a longer nonfiction book. Don't rely solely on secondary data coming from third parties. It's always a good idea to collect your own, especially if you already have a strong author platform or even just a blog with a regular readership. Directly tapping the audience you have is the best way to discover what they want or need. Don't forget to use the competitive information you find to do a SWOT analysis. This is where you map out your strengths and weaknesses versus the competition as well as any opportunities or threats likely to present themselves. Download my free SWOT analysis worksheet, with a guide, to get you started. What other market research tools and techniques have helped you in the past? How many of these examples are you likely to use when writing your next book marketing plan? Share your thoughts and experiences in the comments. You know you have your own folder in my Bookmarks bar, right? Excellent post, Jenn. I’m doing a project for a friend and he’ll need this info.